The 21st century can be a daunting place to be in, especially when you’re little. But to truly prepare children for a journey of growing up gifted, you have to first give them courage. It started as a labour of love in 2002. 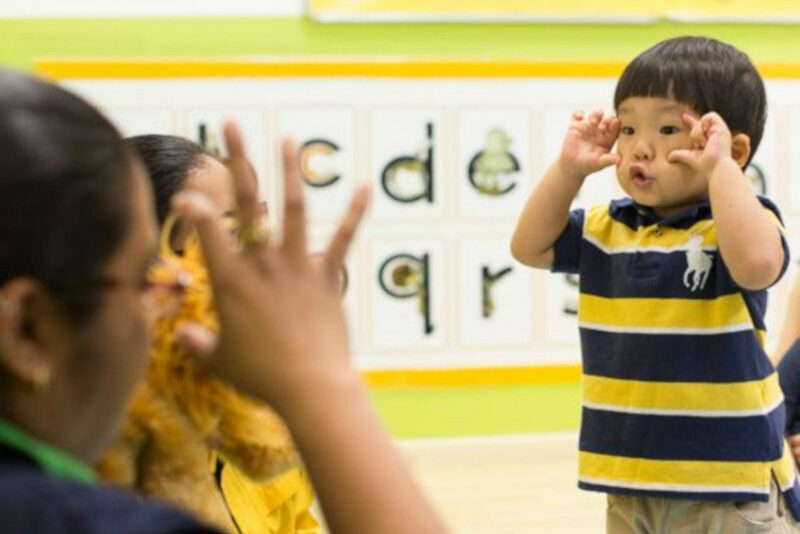 To give her child a preschool education that would unlock his potential, curriculum specialist Deanne Chong-Duffield founded Growing Up Gifted. It began as a small enrichment centre in United Square with Deanne’s son and 19 other children. Since then, 15,000 children have experienced the revolutionary GUG method. 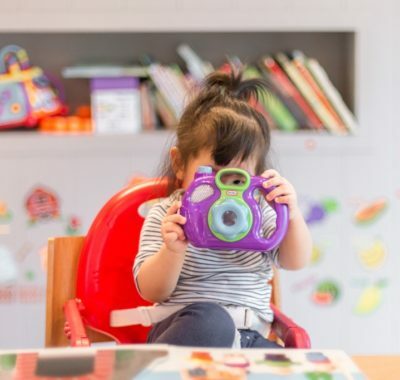 But what makes GUG Preschool so special? Can its multiple award-winning curriculum really help children in growing up gifted? I hit Deanne with these burning questions and more. Can my child get into GUG if she isn’t academically gifted? “Yes!” is Deanne’s emphatic reply. In fact, they don’t carry out pre-admission screening. Children do not need to have high IQ to qualify for enrolment. All children are welcome at GUG, it seems. My intention was to introduce a higher level of preschool curriculum that would be available to ALL kids. I believe that children are all gifted in one way or another. To further illustrate this point, Deanne shares that GUG also accepts children with special needs. Successful graduates include children with cerebral palsy, hearing impairments, dyslexia and autistic spectrum disorder. Despite her disclaimer that the school and teachers are not special-needs trained, it appears that GUG methods inadvertently help children who struggle with various difficulties thrive. The magic formula, according to her, is to inspire courage while imparting knowledge. Specifically, five kinds of courage that are critical if children are to thrive in our 21st century world. What do you mean by courage? We define courage as daring to try and to learn and to do, Deanne explains. It’s not easy to be a young child. Even babies taking their first steps require courage. When everything you encounter is new, everything you do requires courage. The GUG curriculum inspires courage in children via a process called the 5-Point Intelligence approach. Backed by neuroscience, it fosters Higher Order Thinking Skills (HOTS) and holistic development in five key areas in our brains. By consistently exposing young children to a wide range of topics and experiences, in conjunction with the right cognitive enhancement techniques, kids are able to master various skills and subjects. When children have Content Mastery skills, they become Courageous Learners. They will not be afraid of trying new things, and will find learning easy, enjoyable and rewarding. Children need to develop analytical and logical thinking skills, and learn how to apply them. It begins with encouraging them to be inquisitive, reflective and critical thinkers. When children have Critical Thinking skills, they become Courageous Thinkers. Rather than shying away from making decisions, they are excited to take on new questions and challenges. We keep asking adults to ‘think out of the box’. The best way for this to happen is by developing this skill early. Children who are free to be imaginative and take risks in exploring will naturally grow up to be creative thinkers. When children have Creative Thinking skills, they become Courageous Innovators. Your child could be the next Nikola Tesla, Marie Curie or Steve Jobs! Children with strong linguistic intelligence naturally find it easier to master any other academic subject or life skill. And it extends beyond reading and writing skills. When children have Effective Communication skills, they become Courageous Communicators. They aren’t afraid to express themselves, champion their rights or the rights of others. There may not be a test score for confidence, but confident children are more likely to score well in tests. In life, self-belief makes them more willing, capable and resilient. When children have Positive Confidence skills, they become Courageous Cheerleaders. They overcome obstacles with a “Yes, I can” attitude, and they have empathy for others too. You get in life what you have the courage to ask for. Like in the Oliver Twist story, Oliver had the courage to ask for “More”, and look at his happy ending. This is the GUG mission – to inspire courage in every child. It all sounds very clever in theory, but how does it work in the classroom every day? As an ancient Chinese proverb (often attributed to Benjamin Franklin) goes, “Tell me and I forget. Teach me and I remember. Involve me and I learn.” In a nutshell, all our lesson plans follow the 3E Process, says Deanne. Explore: Diverse themes and topics pave the way for meaningful discussions and brainstorming sessions. Techniques used include mindmaps, mnemonics, and fun games. Experience: Then it’s time to get hands-on. In science, they might create a hurricane in a bottle. In social studies, there could be role-playing. It’s always a multisensorial experience. Evaluate: Children are given evaluation activity sheets to see how much they’ve understood. They get to draw the experiment they did, or come up with solutions to a problem – no idea is too silly or too crazy. Evaluation is perhaps the most important segment that is often neglected elsewhere. It not only nurtures HOTS, but also serves as reinforcement. 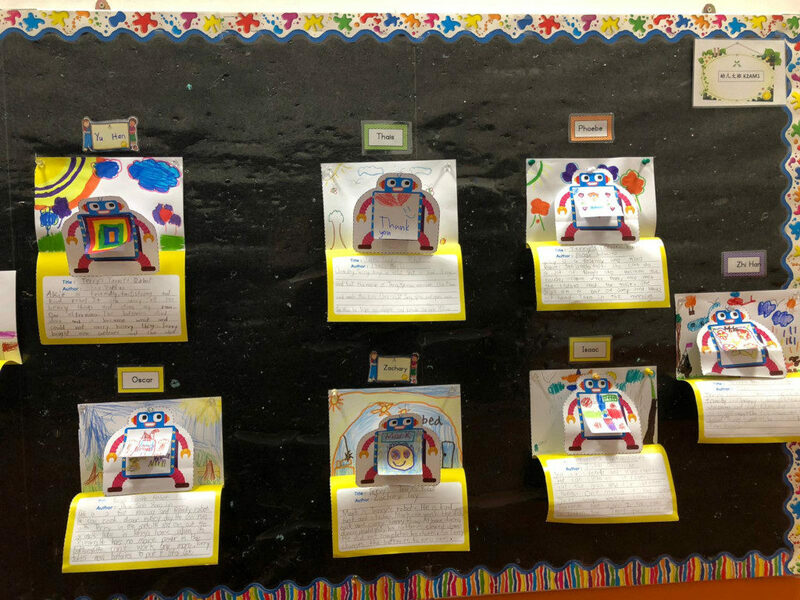 Parents get to see what their children have learnt, and can continue discussing or researching the topic at home. GUG students have consistently achieved high literacy success through its Smart Phonics techniques. Deanne has written hundreds of phonics readers and activity books since 2012. Our phonics readers are truly decodable, she says. Any child who picks up a book progressively will never encounter additional word groups they have yet to learn. This way, they gain confidence and are driven to keep reading independently. Deanne goes on to share a heartwarming story about a hearing-impaired student. Initially she was extremely shy, couldn’t speak and refused to participate in any activity. But because GUG phonics lessons involve all five senses, she not only opened up, but excelled in reading and writing. She found the courage to perform in her graduation concert in front of a 400-strong audience, and went on to become a class monitor in primary one! 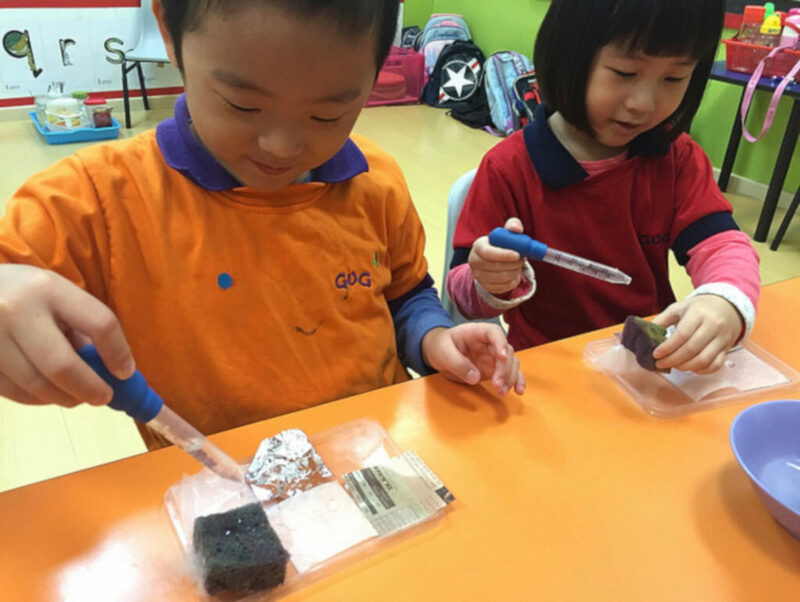 Besides English, classes from Playgroup to Kindergarten 2 also cover core subjects Chinese, Mathematics and Science. 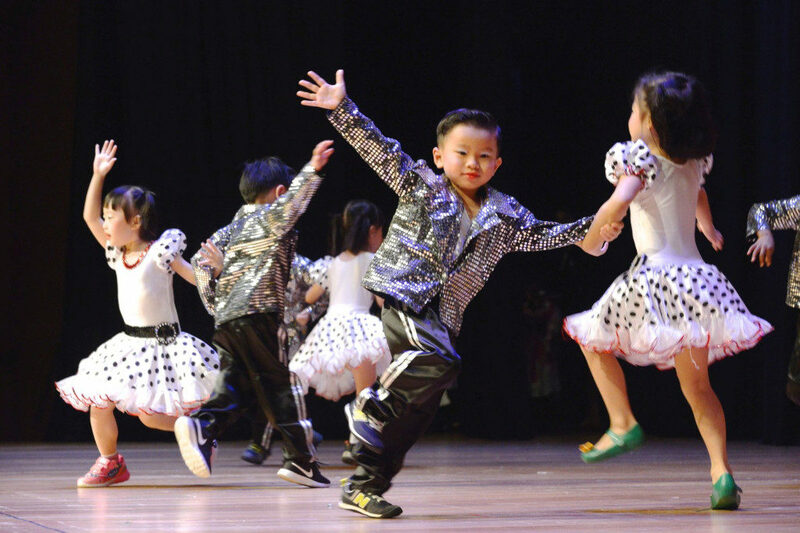 “GUG’s Mandarin curriculum makes it fun and interesting for kids to love Mandarin. The Chinese reader books, songs, poems and teaching methods enable her to build vocabulary and construct sentences in the right way,” says the mother of K2 student Kahlen Ong. GUG students also have lessons in music, dance, drama, art, cooking, robotics, humanities and more. The teachers even weave in visualisation exercises, deep breathing techniques, animal yoga stretching, and anger and stress management! Some days they get to play in the Water Sprinkler Pool, on others, go on a field trip. But after spending the preschool years having so much fun, will my kid truly be prepared for primary school? 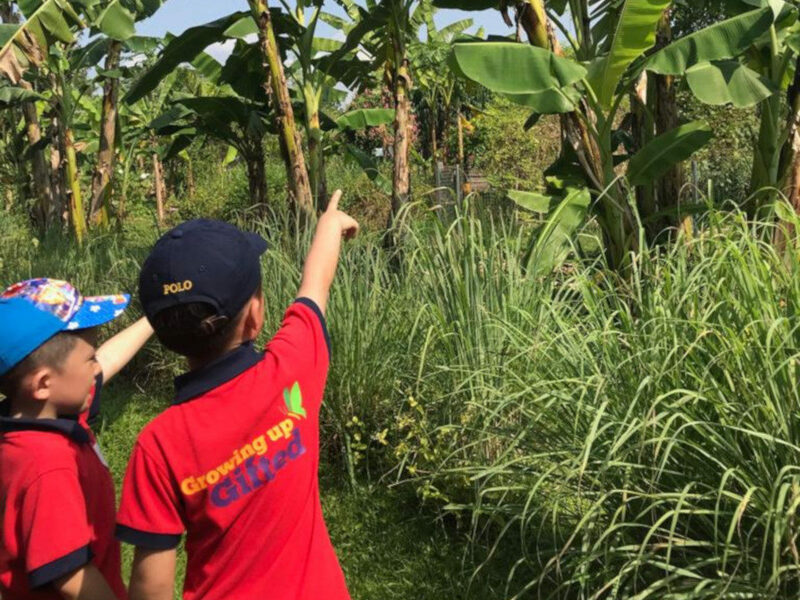 As it turns out, despite not admitting only children who score in the ‘gifted’ range, about 25 per cent of GUG kids are accepted into the Gifted Education Programme (GEP) in primary school. And about 95 per cent of the children are Top 10 students. Another comment we get from parents repeatedly is that they don’t have to send their children for extra tuition or enrichment classes, adds Deanne. Beyond academic success, many GUG graduates also become class monitors, school prefects, and receive leadership awards, something which makes Deanne extra proud. 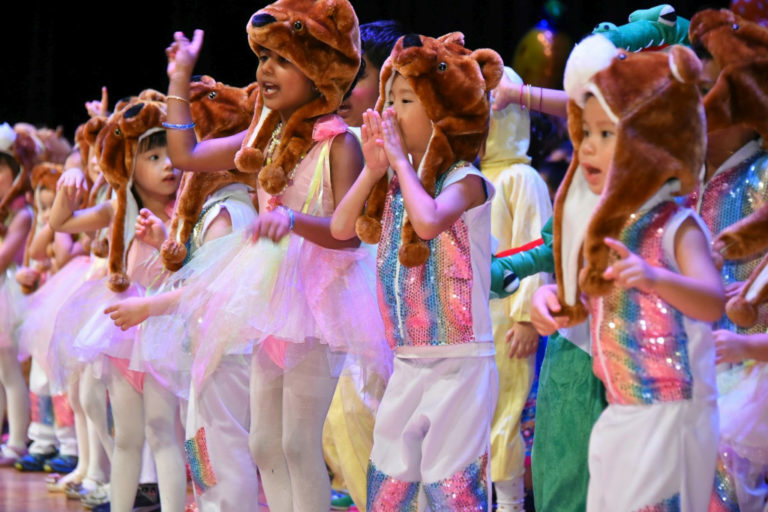 GUG Preschool has opened two brand-new campuses in Tampines and Thomson this year. To let your child experience the Growing Up Gifted method, visit www.gugifted.com to find out more. This post was penned in collaboration with Growing Up Gifted. Mandy Lim Beitler is a sub-editor at SingaporeMotherhood. When she's not tapping out words on the keyboard, she enjoys being a tourist both locally and abroad. Her greatest loves in life – besides her hubby – are animals, watching episodes of BBC’s Doctor Who and nursing an invigorating cup of tea. 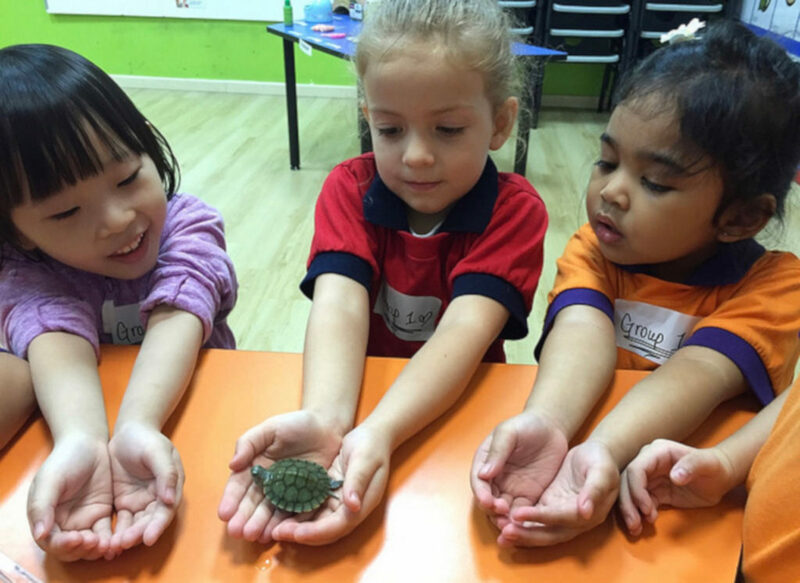 Why MindChamps PreSchools is the #1 Choice for Parents in Singapore!